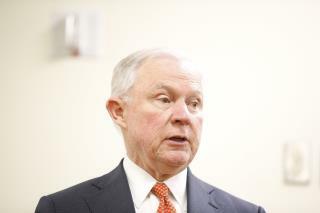 (Newser) – Jeff Sessions will not be appointing—at the moment—a second special counsel to investigate Republican allegations against the FBI and Justice Department, CNN reports. He did, however, announce Thursday that US Attorney John Huber is investigating those claims, which focus on the FBI allegedly abusing its power when it conducted surveillance on former Trump campaign adviser Carter Page, as well as Hillary Clinton's connection to a Russian nuclear energy agency. "We understand that the department is not above criticism and it can never be that the department conceals errors where they occur," the Los Angeles Times quotes Sessions as writing in a letter to three Republican lawmakers. He says he will use Huber's review to determine if a special counsel is needed. It is absolutely amazing how the Government can find so many ways to waste, not millions, but billions of dollars. Congress and the POTUS have NO respect for the "People's Money". More fruitless Benghazi like attacks on Clinton. More pitiful deflections from trump's criminality. The uranium one crap has been debunked months ago by every news agency including Foxnews. It's unbelievable they having a enquiry into it. Republican Party vs Supreme Court : Never mind, this Alabama man is quite doubtful since he had been served in Capital Hill being Senator work. This lousy baloney Donald Trump's family-run White House is too voodoo to the United States anyway.